@BifBangPow: The Dude’s Wisdom at Your Fingertips! If you’ve ever wanted to “roll’ with The Dude, Bif Bang Pow! has you covered with The Big Lebowski Talking Key Chain! Now in stock at Entertainment Earth. Now fans of the popular film can abide wherever they go thanks to this pocketable key chain sound device that plays back some of The Dude’s most memorable quotes from the movie. The slim electronic key chain measures 2 1/2-inches tall x 1 1/2-wide x 0.75-inches deep. 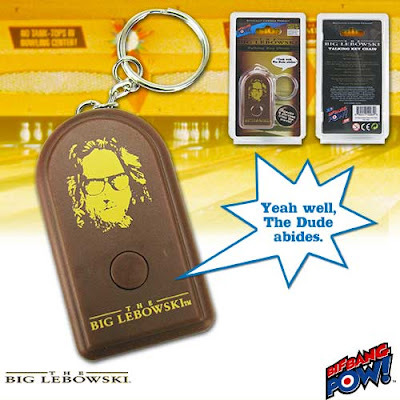 The brown plastic device features an artistic monochromatic silhouette rendering of The Dude along with The Big Lebowski logo placed appropriately below the activating button. It comes complete with 3x AG3 batteries that are easy to access and change. 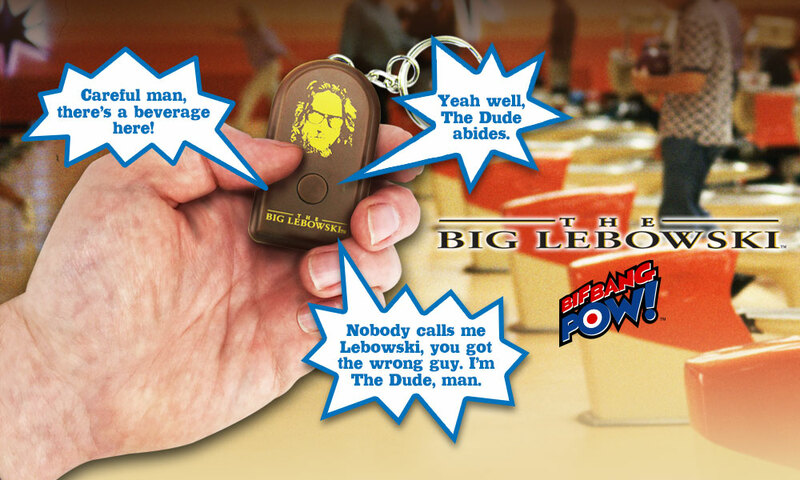 Order The Big Lebowski Talking Key Chain today and have The Dude’s wisdom at your fingertips! *WARNING: Contains pervasive strong language and drug content. Not intended for children. Adults Only – Ages 18 and up. See more The Big Lebowski collectibles from Bif Bang Pow! here!